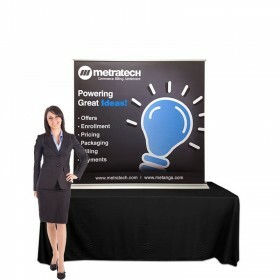 Formulate® tension fabric tower display structures add architecture and drama to any event or trade show space. 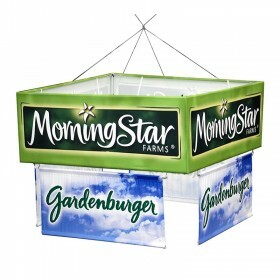 Towers are available in a variety of shapes including square, cylinder, and shield. 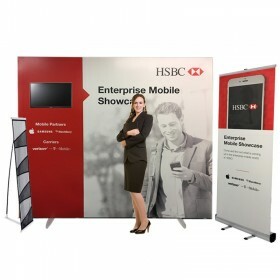 These tower shaped tension fabric structures can provide a larger than life solution for any exhibitor - available in a range in sizes from 8ft up to 12ft tall. 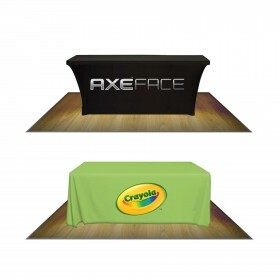 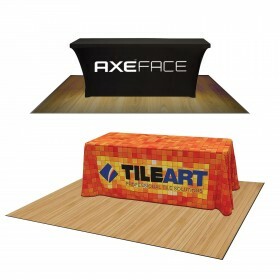 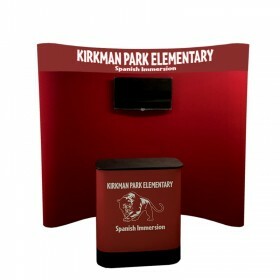 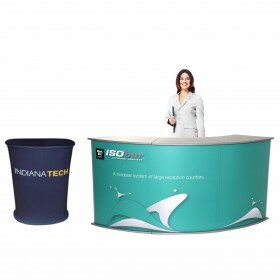 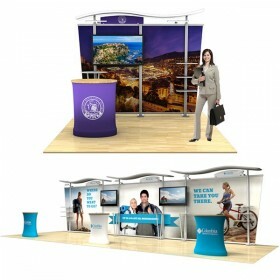 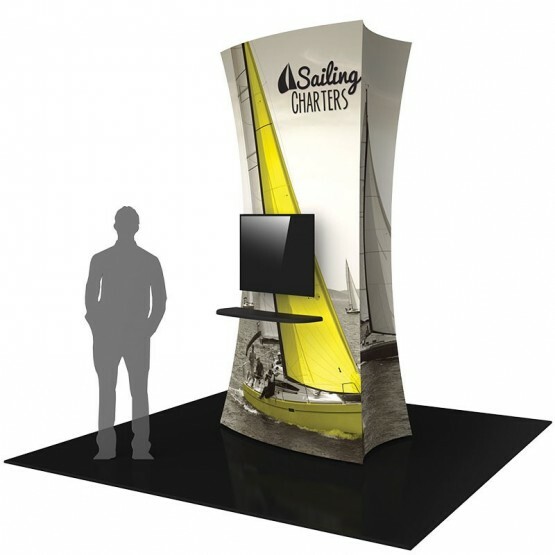 By adding a hard to miss graphic structure to your exhisting trade show booth this allows you to attract attention from across a trade show floor. 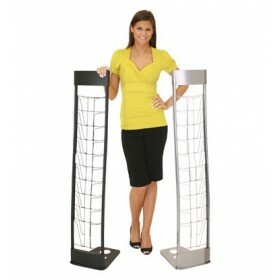 Featuring a heavy-duty wooden base, these towers create a dynamic structure that commands attention. 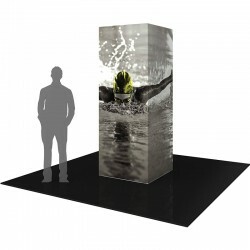 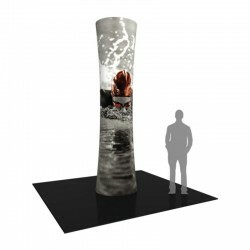 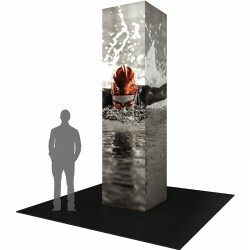 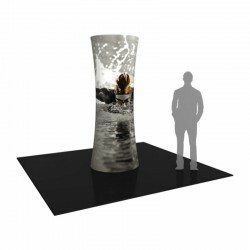 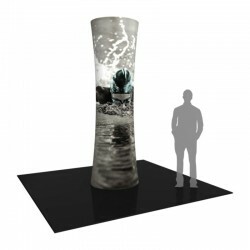 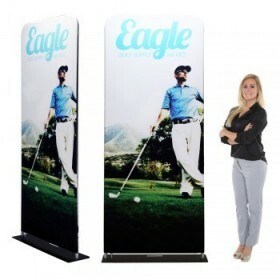 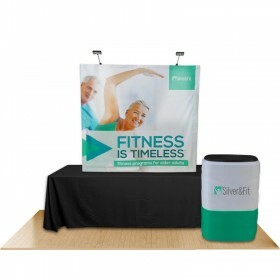 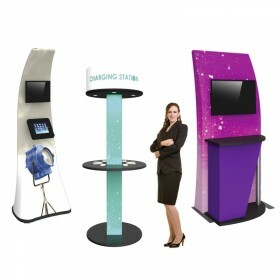 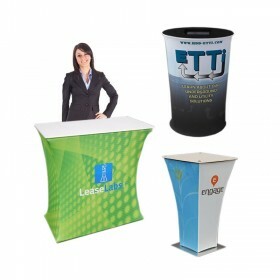 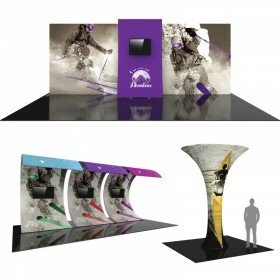 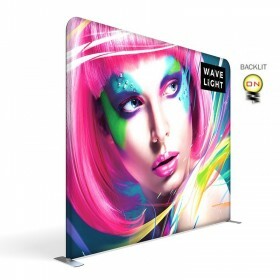 Combining the latest developments in printed fabric technology with durable aluminum tube frames, Formulate® Funnel tension fabric towers add dimension, décor and sculpture to any event, trade show booth, stage set or interior space. 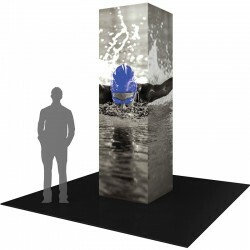 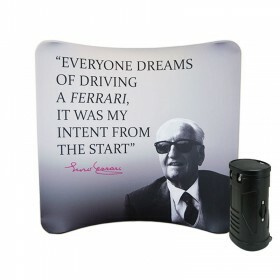 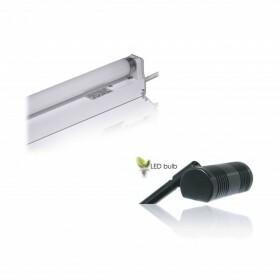 Easily add LED display lighting to illuminate. 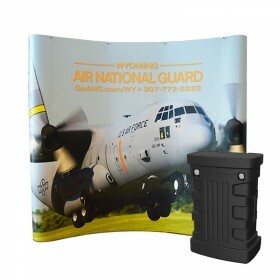 8ft Shield kit includes zipper pillowcase fabric graphic, aluminum frame hardware and wheeled case. 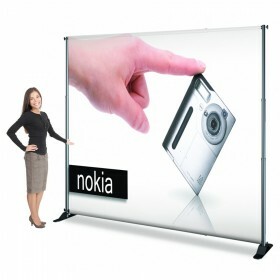 Set-up dimensions: 35.92’’w x 96’’h x 59.42’’d. 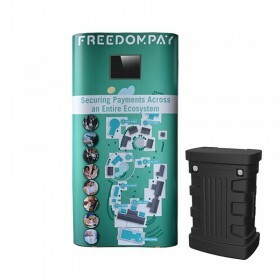 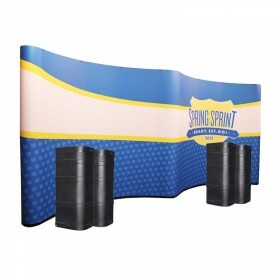 10ft Shield kit includes zipper pillowcase fabric graphic, aluminum frame hardware and wheeled case. 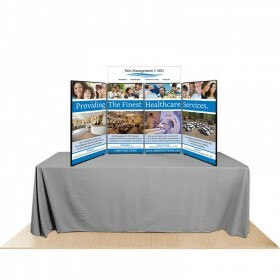 Set-up dimensions: 36’’w x 120’’h x 59.5’’d. 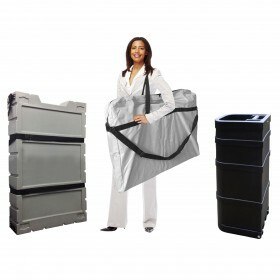 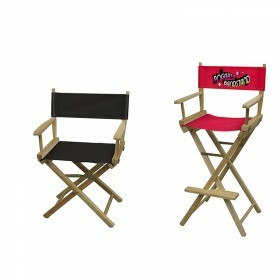 12ft Shield kit includes zipper pillowcase fabric graphic, aluminum frame hardware and wheeled case. 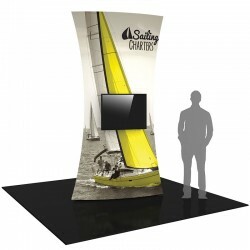 Set-up dimensions: 36’’w x 144’’h x 59.5’’d. 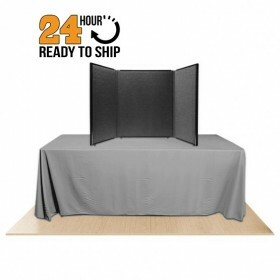 10ft Monitor kit includes zipper pillowcase fabric graphic, aluminum frame hardware, two medium monitor mounts, two shelves and two wheeled cases. 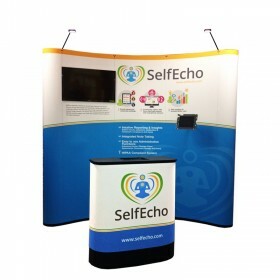 Set-up dimensions: 60.15"W x 120"H x 54.48"D. *Monitors not included. 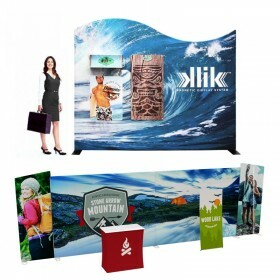 10ft Monitor kit includes zipper pillowcase fabric graphic, aluminum frame hardware, two medium monitor mounts, and two wheeled cases. 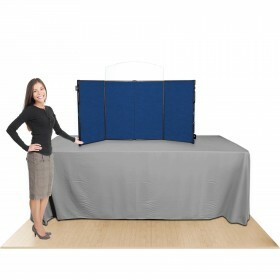 Set-up dimensions: 60.15"W x 120"H x 54.48"D. *Monitors not included. 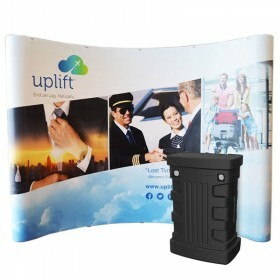 12ft Column Tower kit includes zipper pillowcase fabric graphic, square aluminum frame hardware and wheeled case. 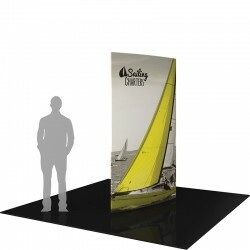 Set-up dimensions: 36’’w x 144’’h x 36’’d. 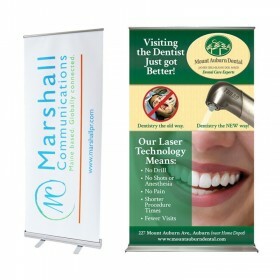 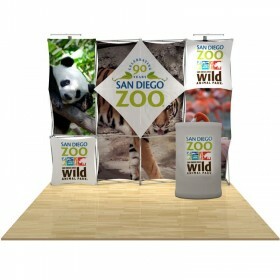 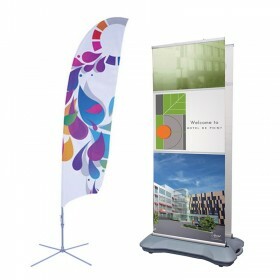 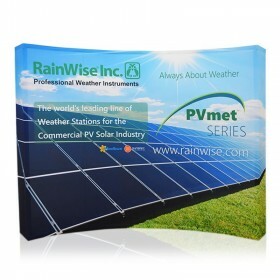 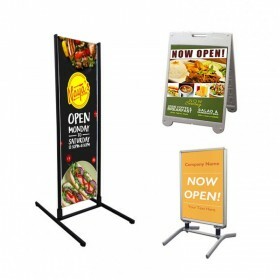 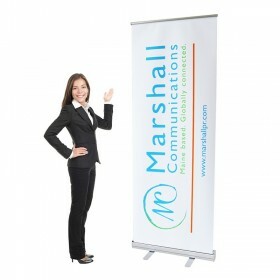 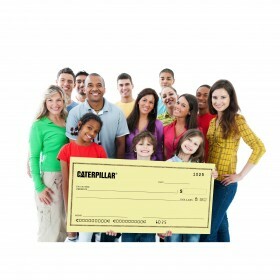 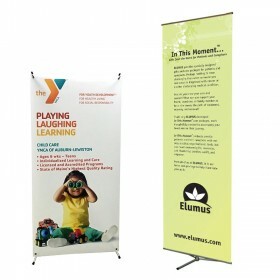 10ft Column Tower kit includes zipper pillowcase fabric graphic, square aluminum frame hardware and wheeled case. 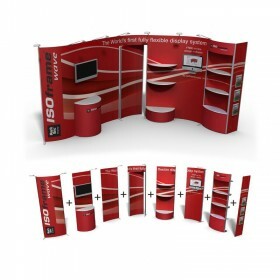 Set-up dimensions: 36’’w x 120’’h x 36’’d. 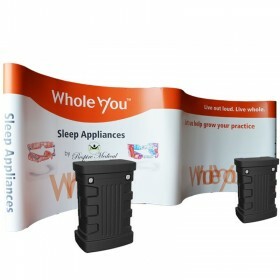 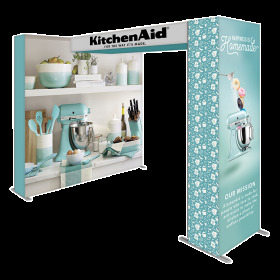 8ft Column Tower kit includes zipper pillowcase fabric graphic, square aluminum frame hardware and wheeled case. 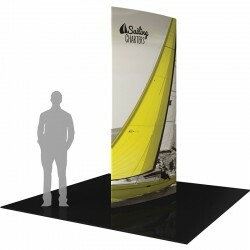 Set-up dimensions: 36’’w x 96’’h x 36’’d. 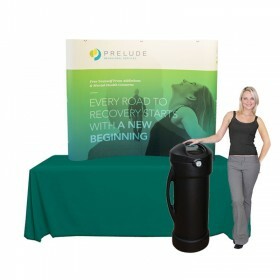 12ft Cylinder Tower kit includes zipper pillowcase fabric graphic, cicular aluminum frame hardware and wheeled case. 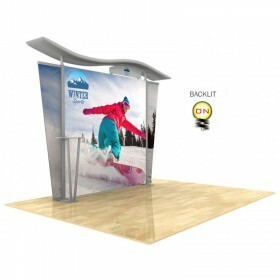 Set-up dimensions: 36’’w x 144’’h x 36’’d. 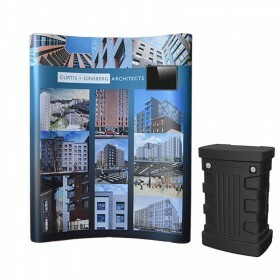 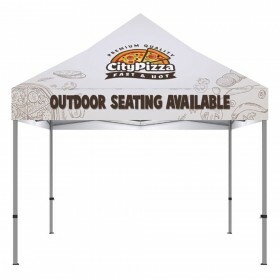 10ft Cylinder Tower kit includes zipper pillowcase fabric graphic, cicular aluminum frame hardware and wheeled case. 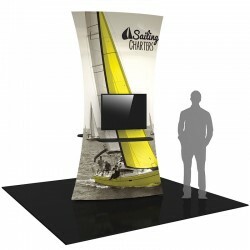 Set-up dimensions: 36’’w x 120’’h x 36’’d. 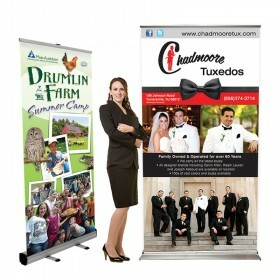 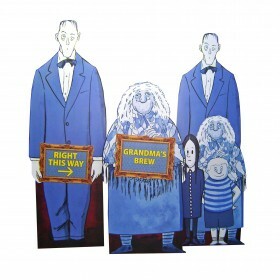 8ft Cylinder Tower kit includes zipper pillowcase fabric graphic, cicular aluminum frame hardware and wheeled case. 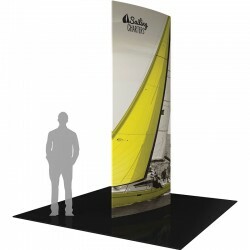 Set-up dimensions: 36’’w x 96’’h x 36’’d.